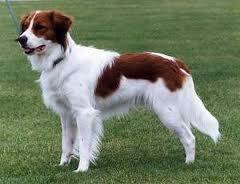 The Kooikerhondje is a small to medium sized dog originally from the Netherlands. He has a fine, longish coat which will require frequent grooming to look its best. He is an energetic, hunting type dog who will need plenty of exercise. Proximity to the open countryside will suit him perfectly. He is typically a cheerful dog, a good companion who will warn you when strangers approach. 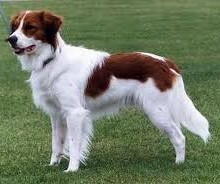 These dogs are rather rare in the UK and therefore have a restricted gene pool, increasing the risk of genetic diseases. Hip dysplasia: breed mean score 10.0 (parents should be lower).